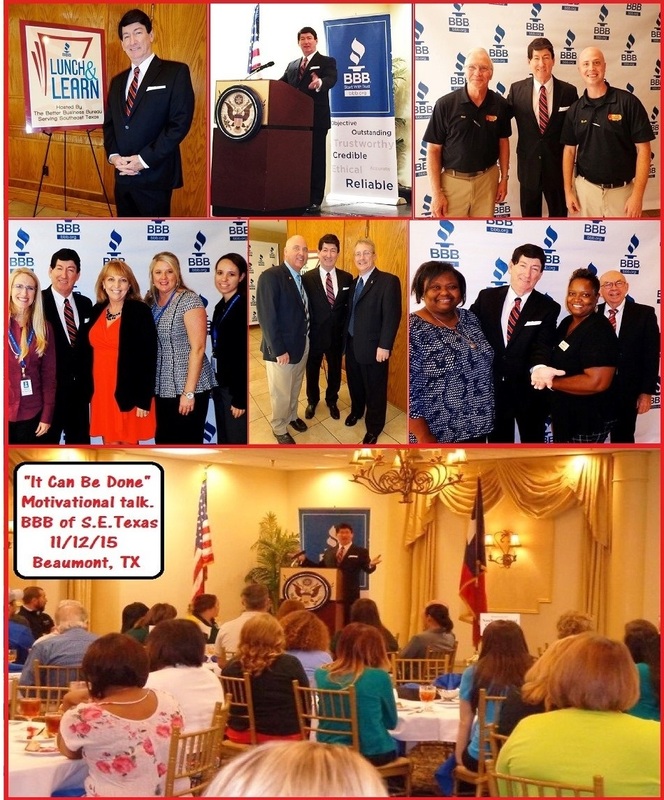 Motivational Keynote Speaker, program titled "It Can Be Done!" at events throughout the Capitol District, including the wonderful Gaylord Resort & Convention Center. 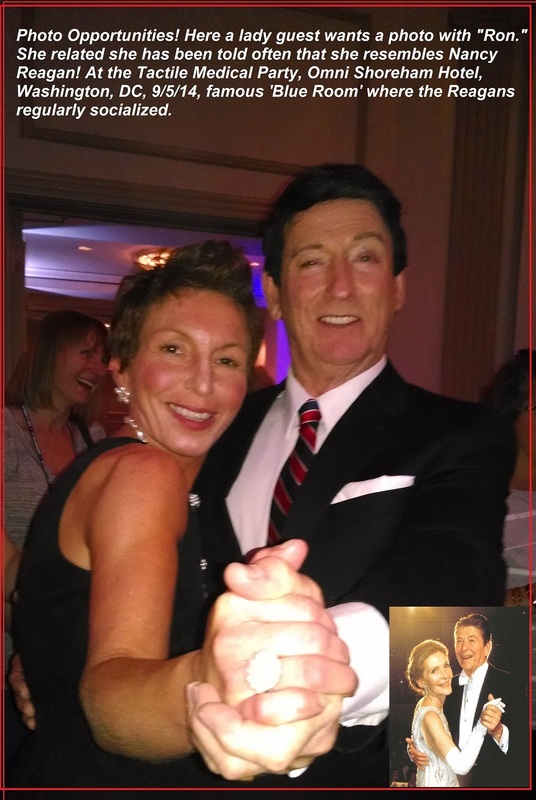 Other locations include events in the historic Omni Shoreham Hotel, DC where Ronald and Nancy Reagan celebrated his presidency inauguration balls! 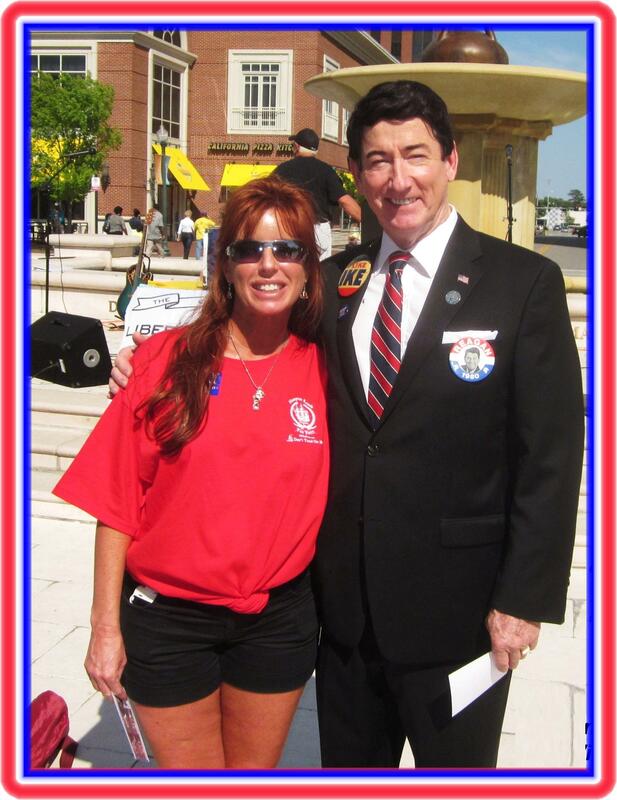 Banquets, "Lincoln & Reagan Dinners," speaking appearances and any event with an "All American" heritage purpose. These "President Reagan" special engagements are wonderful attendance attractions and PR power generators for local news media. 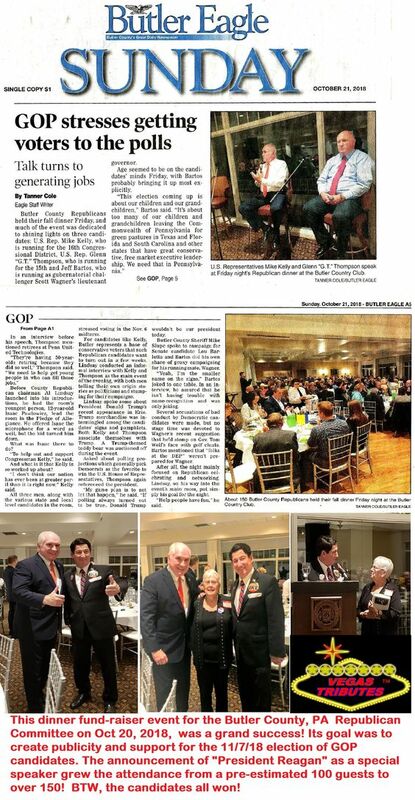 Sponsors will be pleased to have their names and logos in your programs, "President Reagan presented by......"
"President Reagan" joined over 150+ distinguished guests for a very glamorous "President Trump Inaugural Ball Gala" at "The Sanctuary," an exclusive golf club on Sanibel Island. 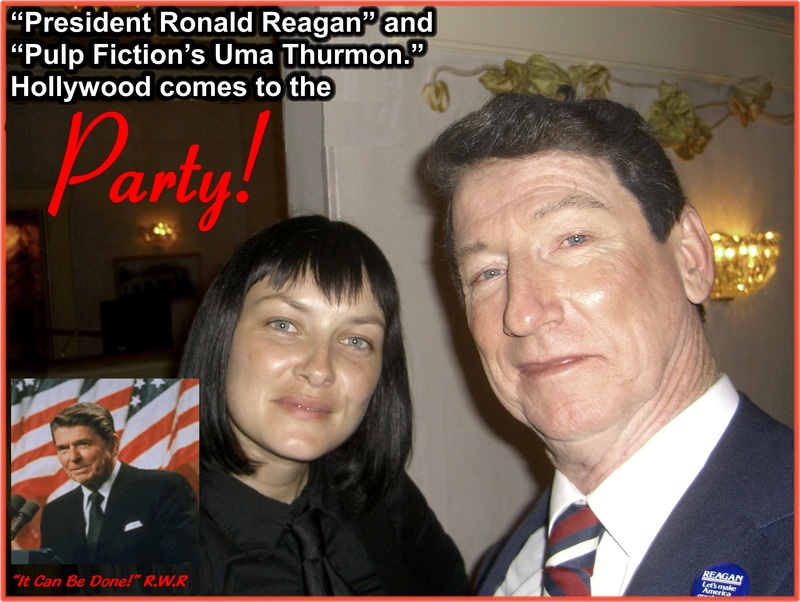 For this Republican Party social event "President Reagan" gave a warm welcome and salutation to the guests, and then after a rousing and brief "Presidential Positive" address, got them all up dancing with his "wow!" renditions of those "Awesome 80's" Reagan-era tunes such as Bob Seger's "Old Time Rock n Roll," Rod Stewart's "Hot Legs" and Billy Joel's "It's Still Rock n' Roll To Me" followed by the smooth slow dance tunes classics of Sinatra and Tony Bennett. Yes, it was a grand time!!! 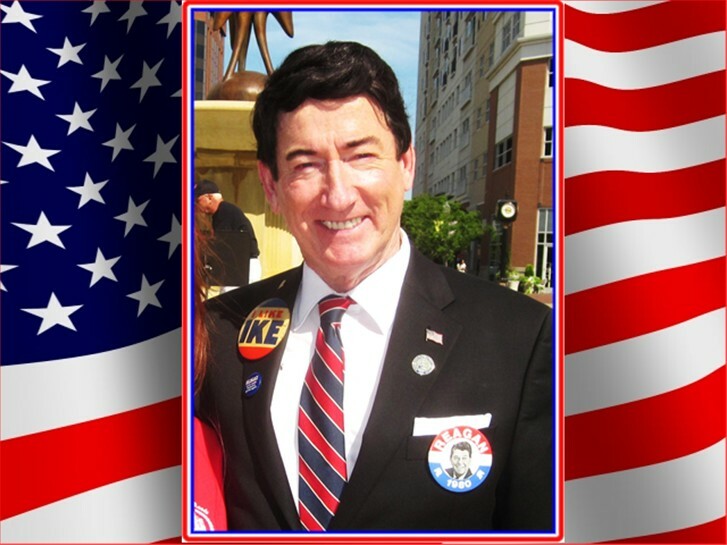 National Keynote speaker, Emcee and Actor Tim Beasley returns as "President Ronald Reagan" for inspirational and motivational speaking engagements in his remarkable celebrity impersonation in looks, manners, voice and attitudes of the ever popular US 40th President. President Ronald Reagan was declared by popular vote as one of the top 3 Presidents of the 20th Century. Here is a fine example of the "President Reagan -It Can Be Done!" keynote speaker program, with a photo montage of the event. 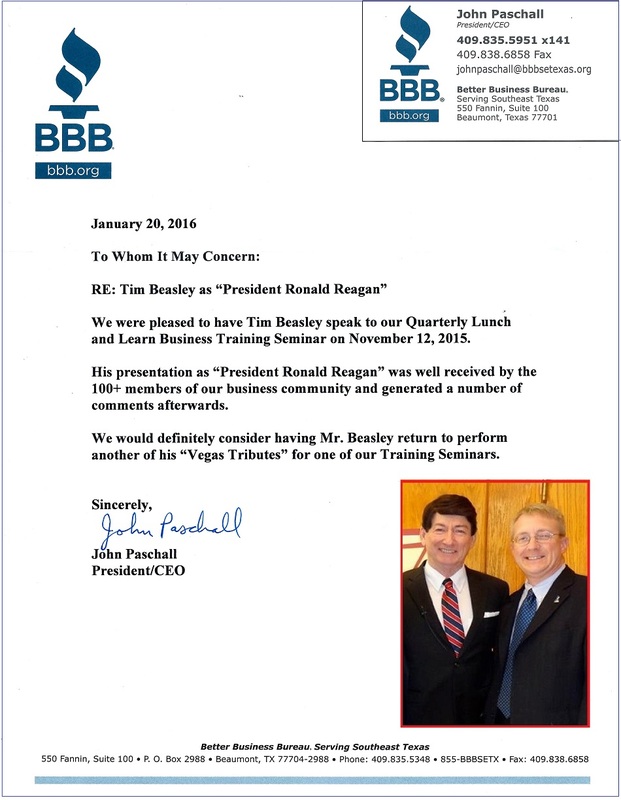 Below is an endorsement letter from the President CEO of BBB of Southeast Texas, from their recent event. 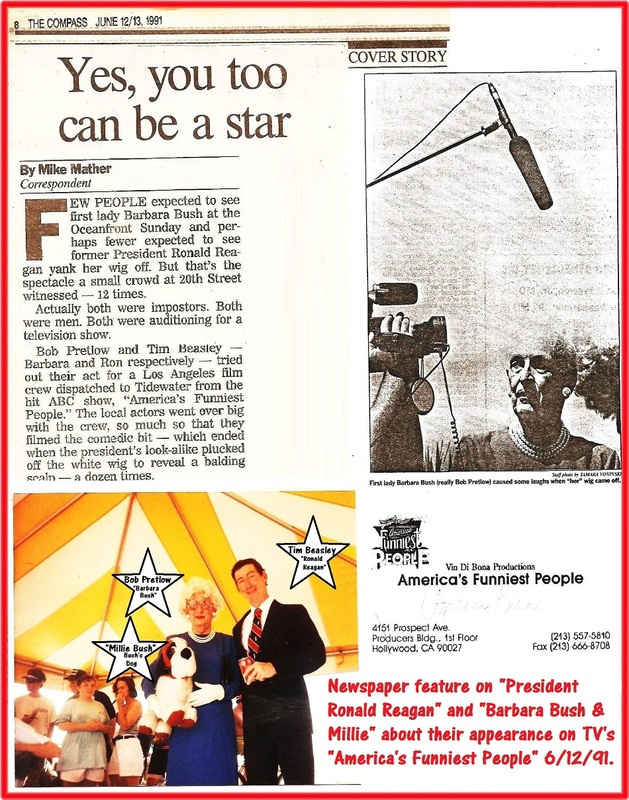 Being a well-versed actor in all media and using the familiar framework of his other "Presidential Tributes" with performances as George Washington, Abe Lincoln, Teddy Roosevelt, Thomas Jefferson and James Madison, Tim performs professionally in a variety of special "President Reagan" events. Beginning his 35 years of President Reagan performances during 1984, a great Reagan Administration year, Tim is also a scholar on the life, times and career of Ronald Reagan. With this personal knowledge and insight, Tim portrays President Reagan in true and sincere historical content, as well as in a light-hearted salute to his great sense of humor and amiable charisma. 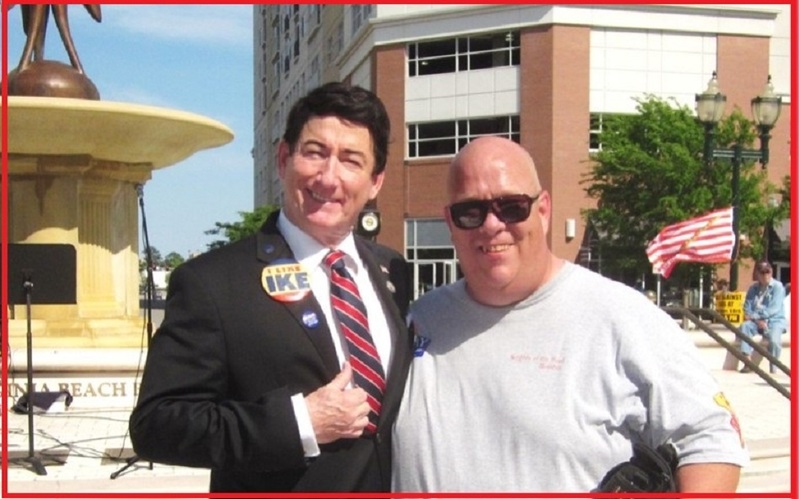 As a Ronald Reagan supporter and fan since the 1980's, Tim knows "Ronnie" well enough to speak and converse as "him" on any subject in the first person. 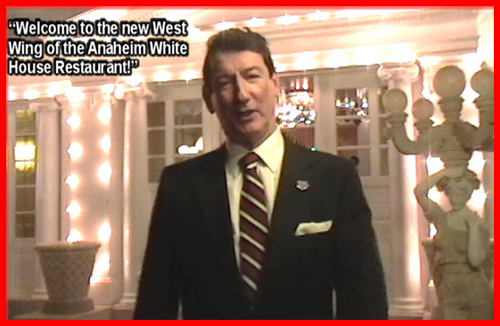 You and your guests will feel as though you're actually meeting President Ronald Reagan! 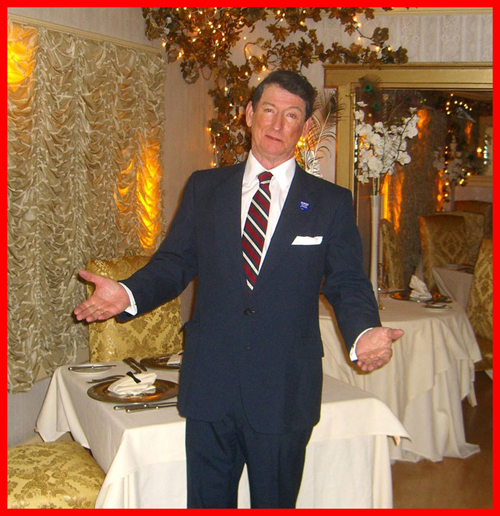 Banquet Speaking is a specialty, with a speech custom written to enthuse and entertain your guests! 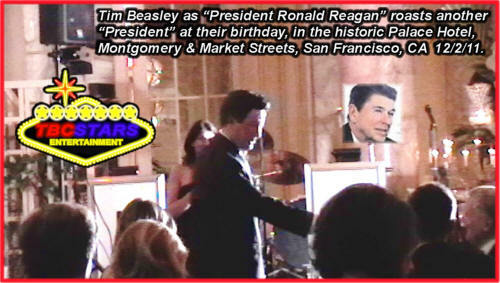 "President Ronald Reagan" is a great guest for all American themes, political, patriotic or historical special events. There are several unique "flavors" of appearances, just like President Reagan's favorite candy, the Jelly Belly jelly beans! 1. Meet & Greet with an optional after-dinner speech from our replica of the Presidential Seal Podium. 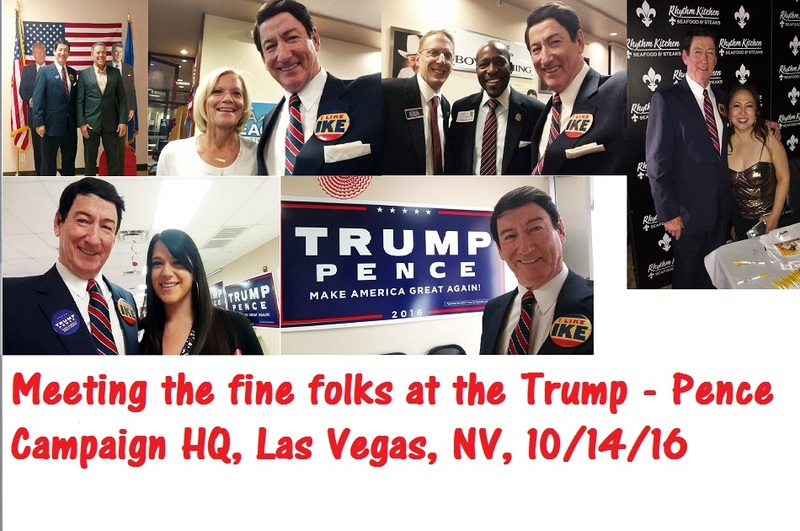 It's a wonderful addition for any glamorous gathering and getting photos with "President Ronald Reagan" is always a big hit! 2. Surprise Guest with after-dinner speech, custom scripted for highlighting your event and guests. Here's a link to a Youtube video produced by AOL that elaborates on his keen sense of humor! 4. Inspirational and Motivational speaker for educational programs at colleges, public and private schools, public libraries, political rallies, and a great energy generator and positive thinking leader for sales and marketing success. Program is titled, "President Ronald Reagan - It Can Be Done!" 5. Religious Speaking Engagements as President Reagan was always open and sincere in his Christian beliefs, and often refered to our nation's need for religious faith. 6. Awards Banquets as presenter of special awards to local heroes, volunteers, achievers, top salespersons, etc. 7. World Leader Icon as the most famous and important person in the world during his two terms for 8 years, 1981 -1989. President Ronald Reagan is the top icon of the 1980's. A superb and top figure personality for anything relative to a 1980's Decade Celebration! Not only is "the look" there, it's also the remarkablely crisp and clear Ronald Reagan voice impression that amazes the guests. 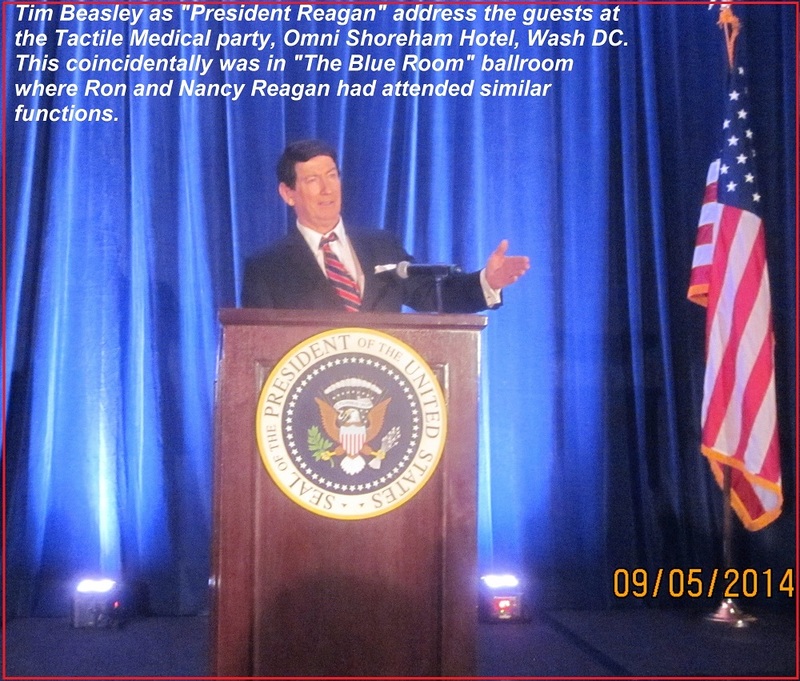 In fact, Tim Beasley voiced many "Ronald Reagan" radio spots on a popular radio station during Reagan's 8 year administration. 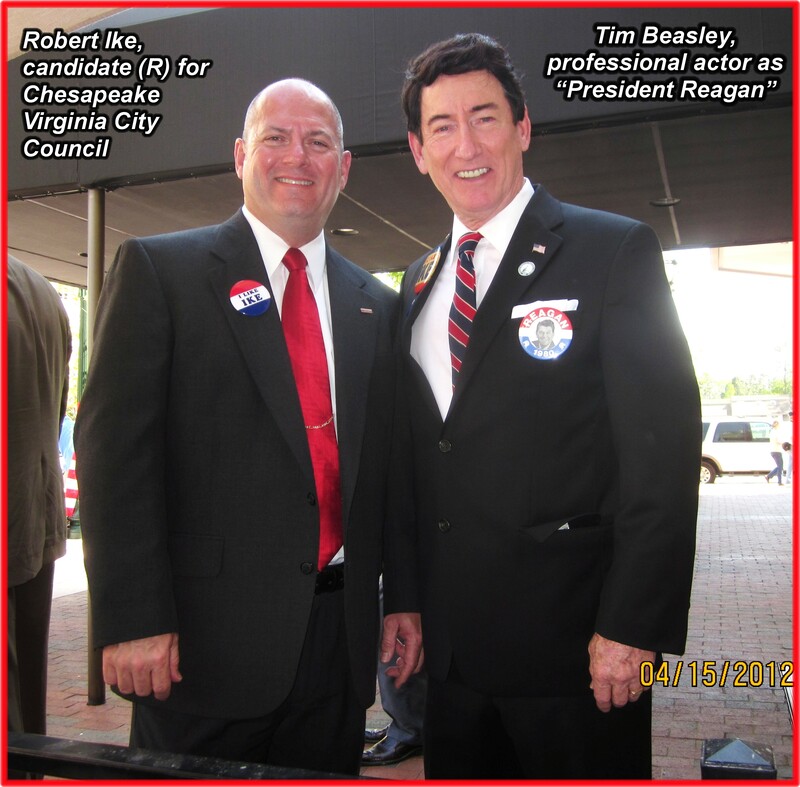 Also, from a pure physical-likeness, Tim is exactly the same height, weight and build as Ronald Reagan, and now being in his mid 60's, Tim is very close to Ronald Reagan's age during his first presidential campaign term. As "President Reagan" Tim wears authentic Ralph Lauren "presidential suits' and even wears the authentic replicas of "President Ronald Reagan" engraved Presidential Seal cuff links, official items from the Ronald Reagan Presidential Foundation and Library giftshop. For meet & greets up-close and personal, "President Reagan" can also wear your company badge -button, and an assortment of authentic collector-edition lapel campaign buttons as converstation pieces. Folks love to get a photo with "The Great Communicator." 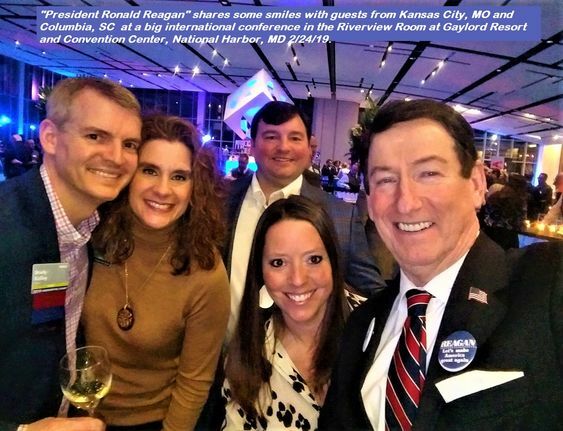 Having a "Presidents Day Sale" or special sales / marketing event?“ "President Ronald Reagan" will cut ribbons for grand openings, make motivational speeches for your "corporate congress" and get your marketing and PR messages across as "The Great Communicator!" Here's a fabulous idea for a celebration you may be having to honor an individual who is retiring, has a significant birthday, promotion, etc. Have "President Reagan" "roast" them, much like he did as a guest on the classic Dean Martin's Celebrity Roasts. For a fun and fabulous roasting engagement, he will deliver a 'this is your life" style of commentary on your special "Man or Woman of the Hour," based on your and your colleagues best and illustrious stories of the person's "good, bad and ugly," in a good humored way, full of hilarious quips....Your roast-ee should know that being "roasted" is indeed a high honor, and testament to their good nature! 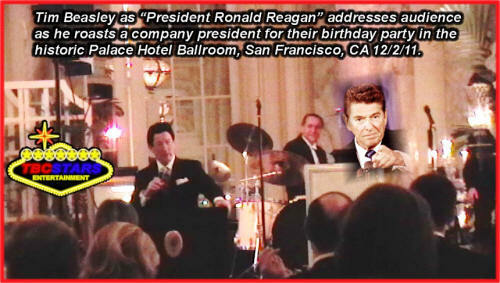 The two photos below show "President Ronald Reagan" in action roasting a big Republican businessman for his 50th birthday party in the grand ballroom of the historic Palace Hotel in San Francisco, CA. 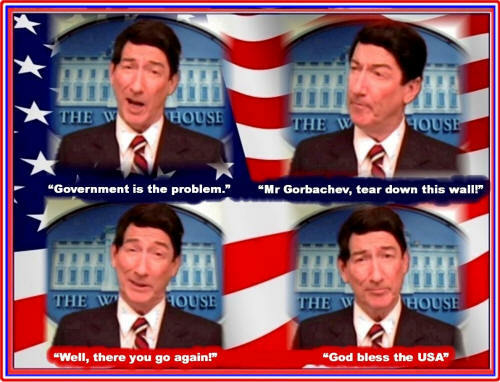 Let "President Ronald Reagan" be your time-travel ticket master back to the great 80's! As the leader of the free world from 1981 -1989 he was there for MTV, E.T. , The Breakfast Club, The Terminator, The Big Chill, Ferris Bueller's Day Off, New Wave Music and so much more! During President Reagan's remarkable eight years administration our nation excelled in raising our living standards for all, and it seemed that a positive energy of accomplishment was in the very air. 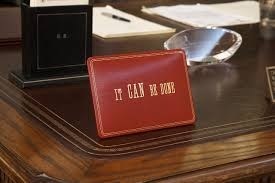 In fact, the "it can be done" attitude radiating from his Oval Office was a refreshing beacon shining bright with American pride, honor, great ideas, ingenuity, innovation, progress, faith and strength in character and positive thinking. During President Reagan's administration, the USA lead the world, as it well should, in high tech. The Reagan administration inventions and innovation progress include the world-changing CD-ROM, Apple Computor, MicroSoft Windows, digital cellular phones, the super conductor, Doppler radar, disposable cameras, lots more and of course that workhorse of the space age, the remarkable NASA Space Shuttle! You may not know this, but developed from President Reagan's "Star Wars" SDI program, "Stategic Defense Initiative" communications geocentric satellites of our great US Air Force came our highly dependable (and depended upon daily in all our lives) global location- navigation programs of MapQuest, Tom-Tom, Garvin and Google! You see, his genius and forward thinking is still impacting our present lives and surely the furture as well! Even a remarkable leader needs to enjoy life, and as we mentioned before, President Reagan always enjoyed a good laugh! 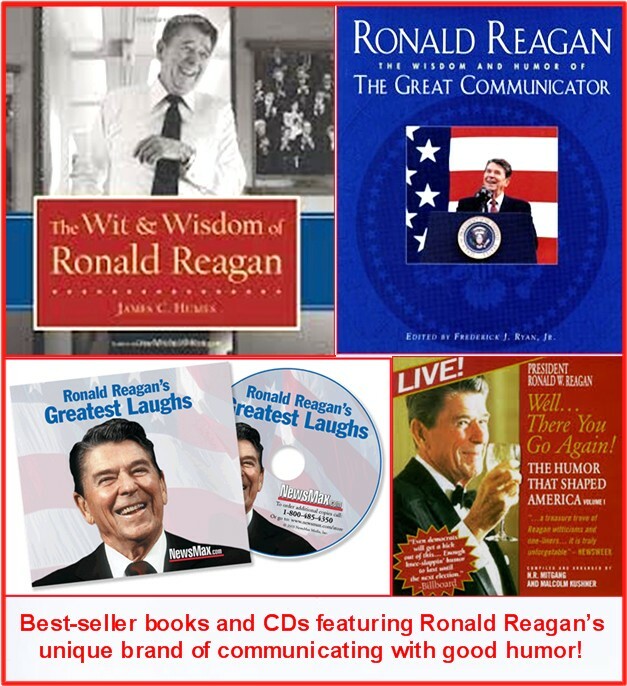 When it is requested and appropriate, we add a generous helping of good humor to our "President Reagan" appearances. Nothing beats the fun and excitement of a "Presidential Personal Appearance," especially with this truly unique performance! The large group he was performing for had their evening banquet outside in a large tented area. At the end of his after-dinner "Reagan" talk, Tim likes to always have everyone stand and join him in singing "The Star Spangled Banner." Typically after it's roaring patriotic conclusion, he quips 'Well, that's a sure way to insure a standing ovation!" 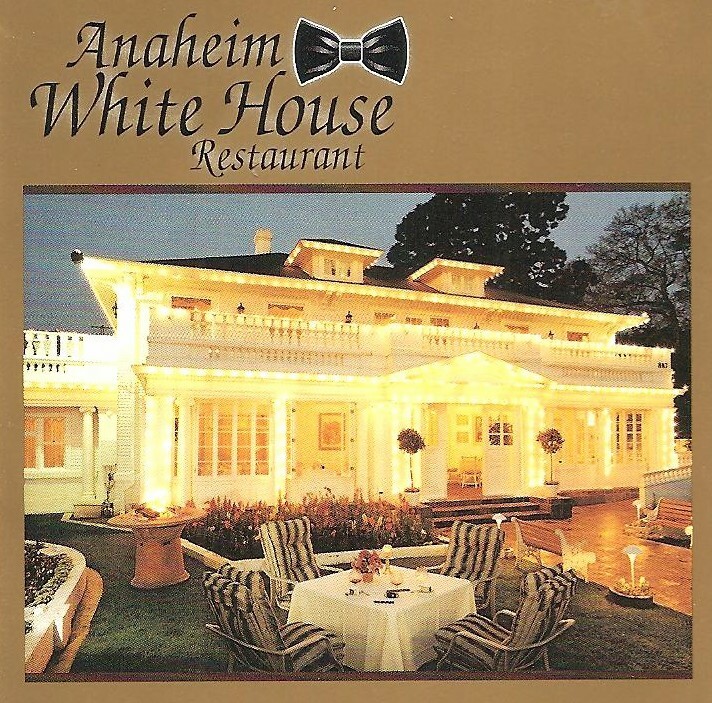 On this particular night, unknown to Tim, the world famous Disneyland only a few blocks away across the Santa Anna Freeway from the Anaheim White House was going to have a fireworks display. When the song reached it grand finish, everyone cheered, yelled "Play ball!" and stepped out of the tent into the dark of the night sky. Suddenly, Disneyland, by coincidence, started their fireworks and without missing a beat, "Reagan" says, 'We spare no expense for our very special guests!" to an uproar of laughs, whistles and cheers! Great event! 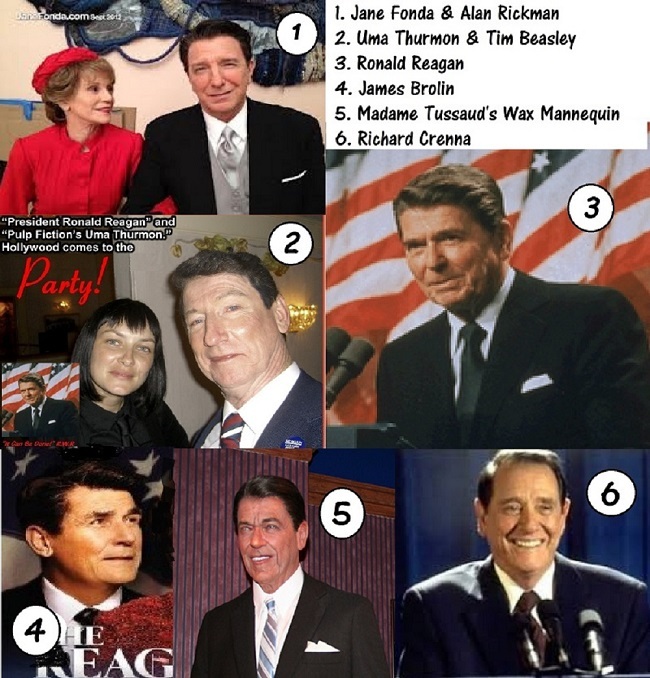 Let's have some "comparison" fun....the photo collage below shows Tim (2) in light makeup as "Reagan" as well as some very famous and expensive actors in this role. Consider that the movie makers had a much more grand budget for makeup effects on the actors to create a Hollywood "Reagan" illusion. Also consider that Alan Rickman (1) made mucho moolah for his role, as well as James Brolin(4) and Richard Crenna (6). Ronald Reagan being an actor himself naturally, and even the inanimate Madame Tussauds' "Reagan" Wax Mannequin would cost you quite a bit of US Benjamin Franklins, too! 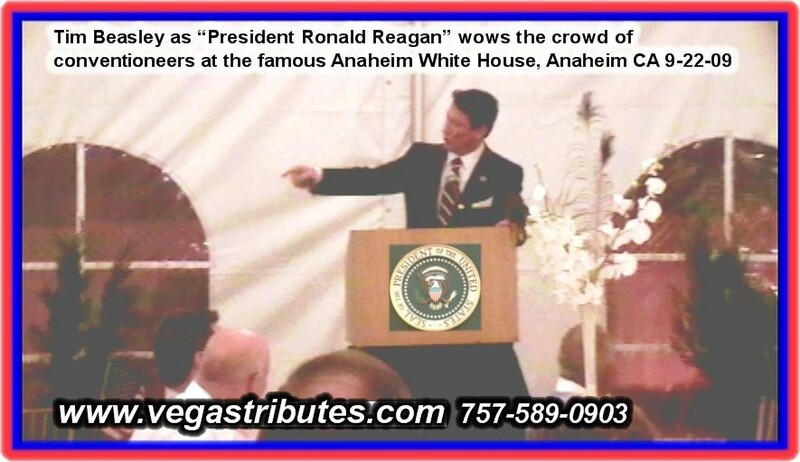 Please call or e-mail for discussing our "President Reagan" appearance for your event. Appearance rate quotes are based on date, location, times, etc. Licensed And Insured since 1986, a great President Ronald Reagan year!! !